Co-Host Charles Mudd spoke with Jennifer Beall, Founder and CEO of CleanBeeBaby, LLC. Jennifer obtained a BS from Duke University in Mathematics and an MBA from Northwestern University's Kellogg School of Management. Prior to attending Northwestern, Jennifer worked as an associate consultant for Marakon Associates. 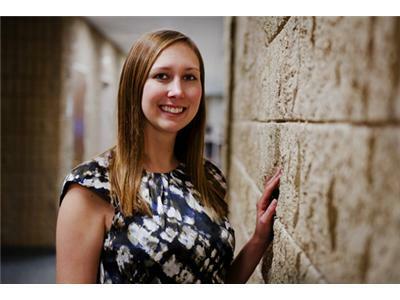 While in graduate school, she interned with PERCHANCE Boutique and the Illinois Innovation Accelerator Fund (i2A). In June 2010, Jennifer opened CleanBeeBaby, LLC and only looks forward as her business continues to grow. CleanBeeBaby is an eco-friendly mobile cleaning service for baby car seats and strollers. It partners with retailers to clean customers' products while inside shopping. CleanBeeBaby works with great companies like Bugaboo, Giggle, and Babyganics, and gives back to the community through groups like Baby2Baby and Children's Hospital of LA. Recently, Jennifer was profiled in Entrepreneur Magazine. Additionally, the Kellogg School of Management profiled Jennifer and CleanBeeBaby online.